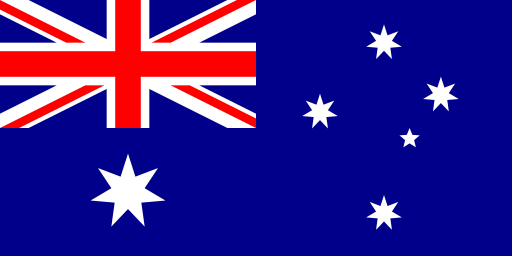 Panel PCs are a high demand option for industrial applications in Australia, USA and across the globe. 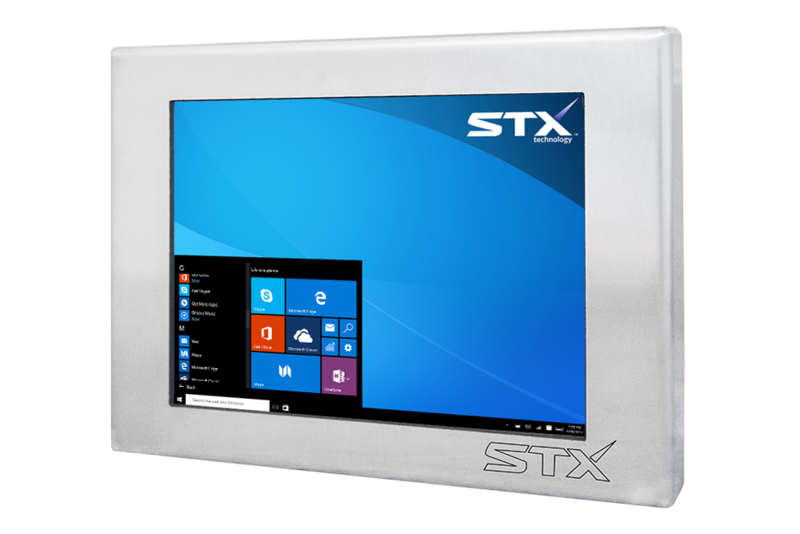 Engineered and manufactured by STX Technology, Industrial Panel PCs are widely in use by companies in food processing, dairy, transportation, warehousing, pharmaceuticals, medical, agriculture, horticulture, forestry, oil drilling and other industries. STX Technology offers an extensive selection of products for industrial environments. All Panel PCs are engineered to withstand challenging conditions such as dirt, dust, water, humidity, vibration, temperature extremes and other environmental factors. All product ranges are engineered using fanless technology to ensure safe and reliable operation. 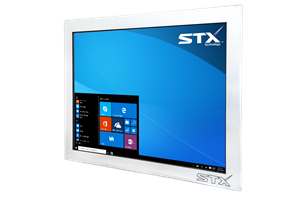 STX Technology also offers fully sealed Panel PCs with IP67 connectors for extreme and sterile environments. Panel PCs feature a strong enclosure, a range of CPU, RAM, HDD, connectivity and port options. Combined with a range of mounting choices, these units have the versatility to suit virtually any application including HMI, printing, RFID and barcode scanning. STX Technology offers a selection of accessories engineered specifically for industrial computers. 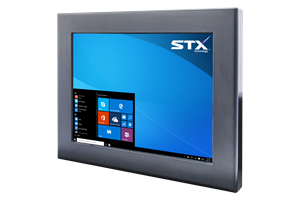 STX Technology’s Industrial Panel PCs feature touch screen functionality and are available with Projective Capacitive (PCAP) or Resistive Touch (RT) displays in sizes from 8 to 100 inches. Options available include high resolution, high brightness, wide viewing angle and lifetime usage of over 100 million touches. Industrial panel PCs are available with display ratios of 5:4, 4:3, or 16:9 widescreen. All industrial computers by STX come with an installed version of Windows, Linux or Android. Our team of professionals can help you to choose the right option for your business application and will guide you through the purchasing and installation process. X7200 Panel PC Range. 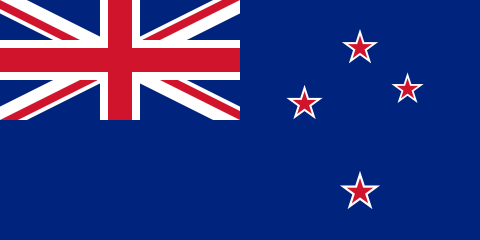 A standard off-the-shelf product and a very popular option for customers in Australia and New Zealand. Manufactured in 304 stainless steel, this product comes with an Intel® 2.4GHz Quad Core CPU, 4GB RAM, 120GB SSD, 10~30VDC power, Wi-Fi, Bluetooth and a range of customisation options. X7300 Panel PC Range. This computer is a choice for clients looking for a lighter weight product. With all the features of the X7200 range, this Panel PC comes in an aluminium enclosure with a wide choice of colour options including matte black. X7500 Panel PC Range. Fully Sealed Industrial Computer with IP67 connectors. Showing the same great level of performance as X7200 and X7300 ranges, this product has a very high level of protection against water sprays, chemicals, humidity, dust, dirt and debris. X6200 Panel PC Range. An entry-level Industrial Computer providing great results in both productivity and energy efficiency. This product range comes in a tough 304 stainless steel enclosure combined with 1.9GHz Intel® Quad Core CPU, 2GB RAM, 32GB SSD, 12VDC power, Wi-Fi and Bluetooth. X7200-KB Panel PC Range. 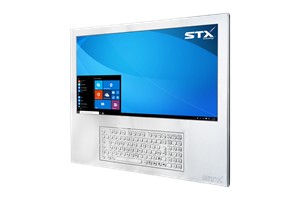 The newest computer in STX Technology’s Panel PC Range. This range comes with an on-board stainless steel IP65 or IP67 keyboard with touchscreen functionality. The X7200-KB range is a preferred option for applications when a lot of data entry required. With 16 years of experience in industrial computer manufacture, STX Technology understands the demands of client requirements and provides a range of solutions to make business operations easier and more effective. All products are backed up by STX’s local service team. 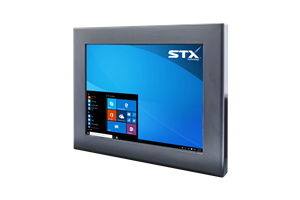 Contact the STX Technology Team today to request a quote or to find out more about our Industrial Touch Computers.